You may be familiar with the term Government as a Platform (GaaP) already but for those unfamiliar, GaaP is a cross government approach to provide shared components to solve common problems once. These components make services easier to create and cheaper to run. We want to share those solutions so that service teams don't have to do this time and again across government. These solutions include things like design patterns, better tools for civil servants and products like GOV.UK Verify. In this blog post I’m going to talk about GOV.UK Notify. Everything starts with user research. This means having conversations, observing what people do and how they do it. During our research, in interviews and user testing with teams across government and the public, we made a discovery. We looked at the main reasons why the public contacts us and saw that it’s often to find out if an application has been received, what stage of the process it's at and when they’ll receive a reply. People don't want to have to call and check up on these things. It’s this widespread demand that led to the creation of GOV.UK Notify. 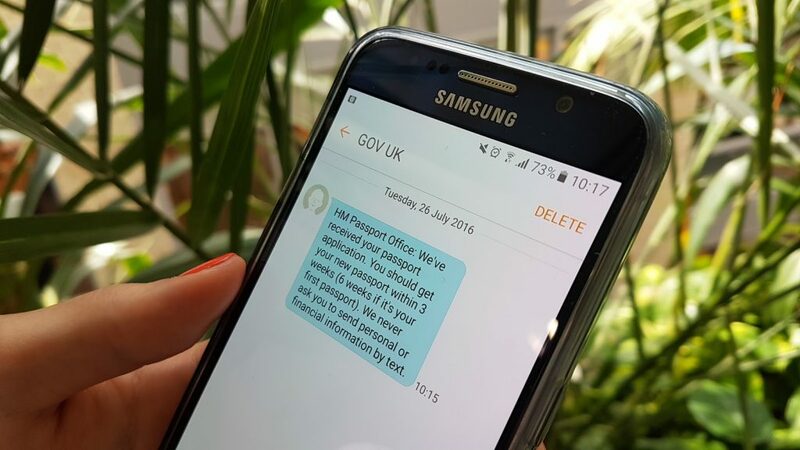 GOV.UK Notify allows government teams to send emails, text messages and letters to the people that use their services. This helps millions of people stay informed and reassured about the things that matter to them. It’s quick and simple to set up. There are two ways government services can send notifications to users. They can either do a simple API integration with their web applications or back office systems or use our interface to upload and send batches of messages. GOV.UK Notify is in private (invite-only) beta, meaning that it’s a live prototype with real messages being sent to real users. We’ll observe what happens and fine tune GOV.UK Notify according to user feedback. Shortly we’ll also be sending messages to people applying for student finance and for UK Visas. Over 70 service teams across central government have already contacted us to say they’d like to use GOV.UK Notify to talk to their users. We aim to make GOV.UK Notify available to the rest of central government later this year. GOV.UK Notify is one example of how doing it once and doing it well leads to the delivery of a better user experience for service teams and the public. You can read more about similar products such as GOV.UK Pay on the Government as a Platform blog. The video is being barred by DWP Filtering! So one cannot watch it from a works computer! Such a shame to an otherwise informative article. Great idea. I love it when high street retailers let me know when, for example, my parcel is being delivered or my purchase is ready for collection etc. Nearly everyone has a phone capable of receiving texts so it's about time we used this technology.